Everyone needs a travel backpack that meets all the needs. It should be light, spacious, stylish, durable, water resistant and what not! 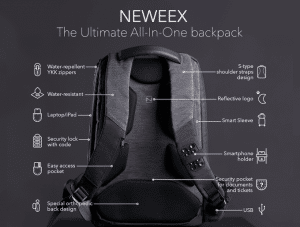 Neweex has designed a all-in-one travel backpack that satisfies all your needs. 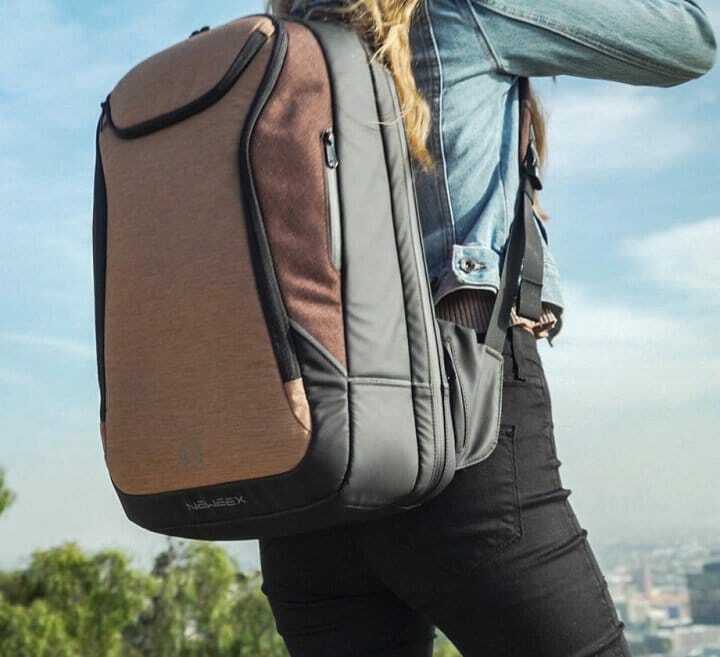 This backpack was showcased in CES 2019 and caught everyone’s eye. There are more than 20 compartments for storing. Neweex provides the charger facility for your phones. And also comes up with a quite unique suction cups. Yes, you read it right. Bag strap has a suction cup that can hold your smartphones when your hands are busy. Impressive Right? . But we are not sure how long or how much weight can the suction cup accompany. 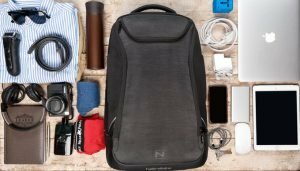 Overall a decent travel backpack with an awesome design. Check out their early bird offers on Kickstarter and back today. Editor’s QuoteUltimate Design with multiple funtionality. Built on the idea that you should always be ready for new experiences, NEWEEX‘s multifunctional backpack, laptop case and travel pouches ensure you’re ready to leave nothing behind on the journey. Sleek design and top-quality materials allow you to wear NEWEEX backpack and still be rocking that fancy suit or jacket of yours! Six contoured pads give extra support for your back, shoulders and neck and provide maximum ventilation – no more sweaty back! Steady and durable materials allow the backpack to hold its shape, yet it’s still lightweight. USB charging port will keep your battery always full! Secret pocket for your valuable documents is easily accessible for you but not for a thief. Suction cups for your phone in case you need both hands free – coffee and a bagel, please! Whether you are backpacking in Yosemite, rushing to that big meeting or taking an unexpected weekend trip with friends, the NEWEEX backpack has a place for everything you’ll need. Paired with a sleek laptop case and easy-to-use-and-store travel pouches, you’ll have everything you need for every new experience.